Cooking at home can be a fun, relaxing activity. But it can also take more time than you would like. So, we’ve gathered 15 kitchen hacks for at-home chefs who want some helpful, time-saving tips. Reheated pizza sometimes tastes really soggy. 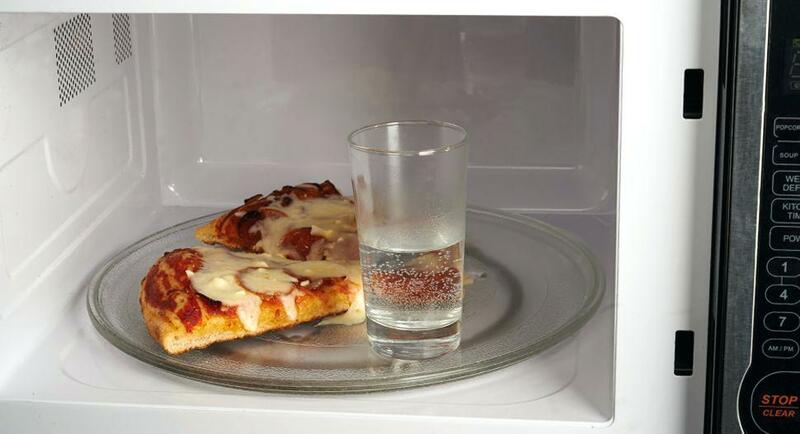 So, the next time you need to reheat pizza, do this: Put a glass of water in the microwave along with the pizza while reheating it. The water will help keep the pizza from drying out. To stop bananas from over-ripening, use plastic wrap. Wrap the banana tightly with the plastic wrap, which should extend the life of the banana another three to five days. If you’ve grilled fish before, you know that it usually sticks to the grill, even breaking apart at times. 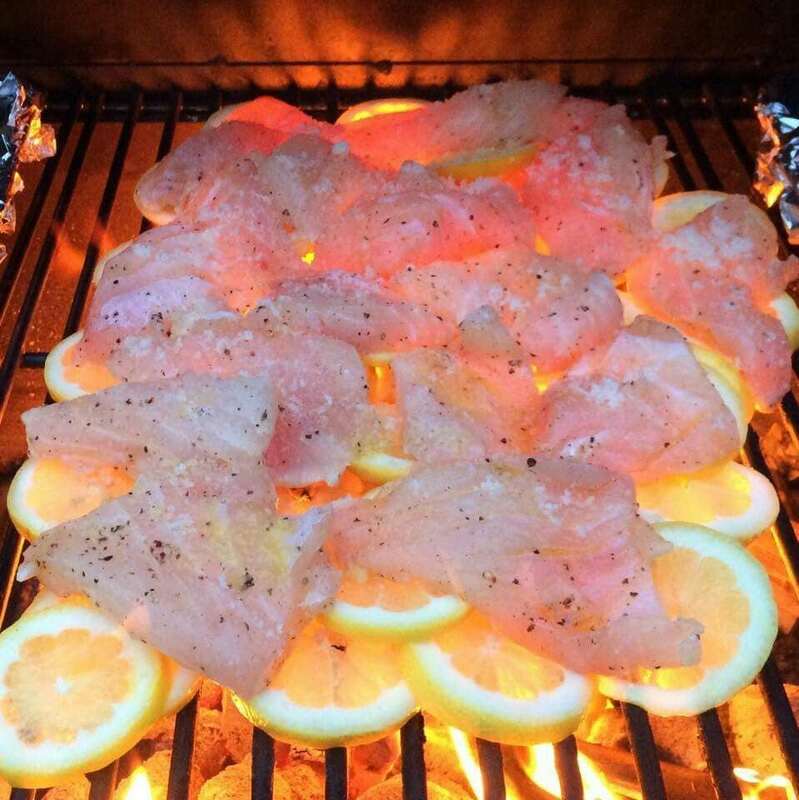 To easily grill fish without any trouble, cook it on top of lemon slices. This helps keep the fish together, and it gives it a zesty flavor. You can easily remove brownies and bread from a pan by doing this: First line the pan with two wide pieces of aluminum foil or parchment paper. Lay one width-wise and one length-wise. Make sure a bit of each strip hangs over the edge of the pan. After you are done baking, use the edges hanging over the pan as handles to lift the brownies or bread out of the pan. Peeling garlic can get a bit messy. To peel garlic easily, put the garlic bulb into the microwave and cook it on high for 20 seconds. Take the bulb out of the microwave, and slide the skin off easily. Any chef knows that cutting an onion causes eye irritation, leading quickly to tears falling down your face. But there is a trick to stop crying when you cut onions. Freeze them! Freezing onions helps restrict the release of the semi-toxic chemicals inside the onion that causes the tear production. Did you know that certain teas should be brewed at specific temperatures for varying lengths of time? Brew white tea at 140–158 degrees F for one to two minutes; yellow tea at 158–167 degrees F for one to two minutes; green tea 167–176 degrees F for one to two minutes; and oolong tea at 176–185 degrees F for two to three minutes. Ginger is often used in Asian cooking and stir-fries due to its spicy, zesty taste, but it’s also perfect to use in baked goods, on vegetables and fruits, in drinks, and in marinades. To easily peel ginger, all you need to do is use a spoon’s edge. 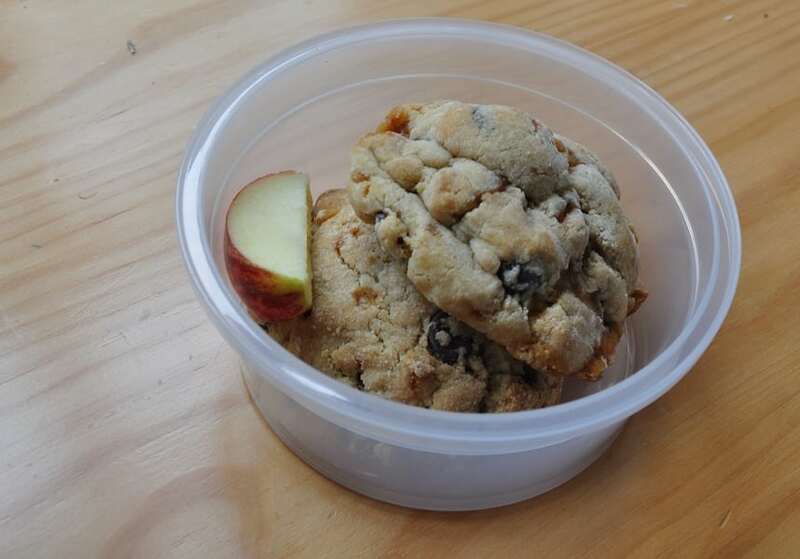 All you need to do to keep your cookies moist is to include an apple wedge in the cookie container along with the cookies. The apple wedge provides moisture for the cookies so they stay soft and edible much longer instead of quickly hardening up. Cooking a turkey can be a tricky task. And, sometimes, it’s easy to overcook a turkey. But if you do, don’t worry! You can still save the day with this helpful kitchen hack. Just pour warm chicken broth over the overcooked turkey. The broth will help make the dry turkey moist. 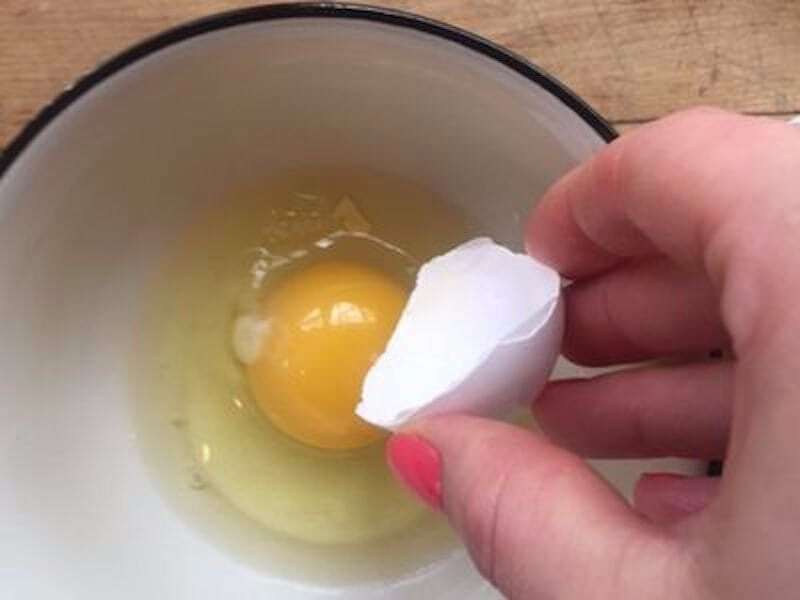 Cracking an egg is more of an art than a kitchen hack, and it’s not always easy to keep eggshell fragments out of the bowl you’re cracking your eggs into. When a shell fragment falls into the bowl, do this: Use one of the cracked eggshells to scoop out eggshell fragments. This hack is quick and easy. Trimming and chopping in the kitchen is made easier with a pair of kitchen shears. You can use kitchen scissors to slice pizza, cut up bacon, trim poultry, shredding cabbage, cutting up meat, slicing vegetables, and a plethora of other uses. Get frustrated slicing cherry tomatoes that squish up and move around as you slice them? Try this hack the next time you want to slice a few cherry tomatoes to throw into your dinner salad: Place one plate underneath and one on top of the tomatoes. 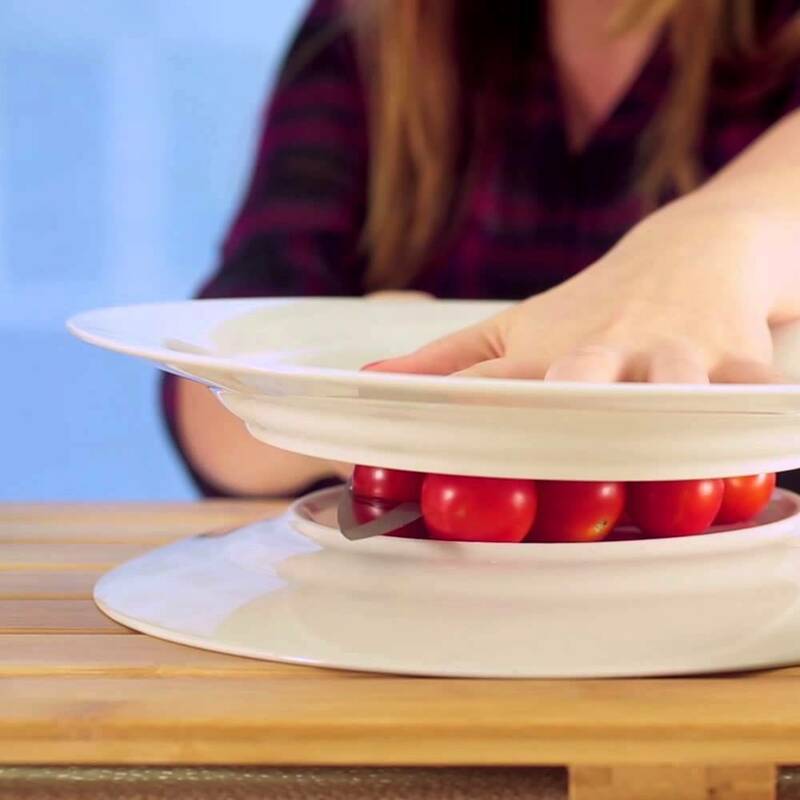 Then gently press down on the top plate and slice through the tomatoes using a horizontal motion using a knife. If you need a cold drink at home but haven’t yet refrigerated your drinks, do this: Wet a paper towel with cold water, and wrap it around your drink. Then put the drink in the fridge for a few minutes until it’s cold and ready to drink. Please SHARE this kitchen hacks with your friends and family. The next time you’re grilling a few hamburger patties, there’s a way to keep them moist and juicy. 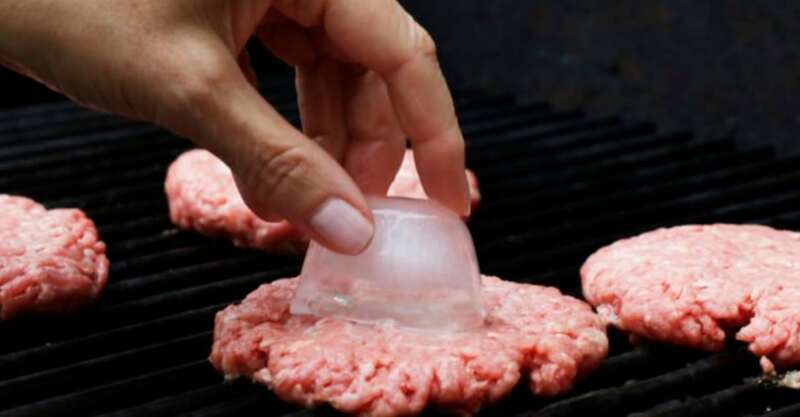 Just put one ice cube in the middle of each patty. Then grill. This helps prevent the patties from getting dried out during the grilling process.